Let’s be honest - brands deals are what influencers care about the the most. How do you get them? What are some best practices when getting deals? How should you handle the relationship so that you’ll get another? Influencers are constantly asking us these questions (and many more), and we are constantly refining our answers as the industry changes, but we only know so much. That’s why we wanted to bring in someone who knows all the brand secrets (because she works for brands). Join us as Sydney Fazende, Digital Director at Laforce, has a conversation with Fohr Card CEO James Nord about all things brand related. As always, tips, and drinks, are on us. P.S. Sydney was a guest on Episode 63 of A Drink with James - check it out here! 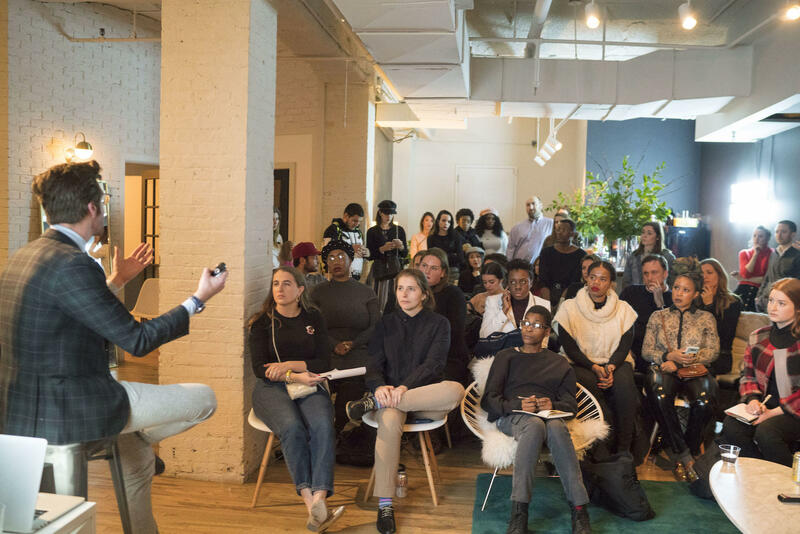 Fohr U is a monthly series that Fohr Card hosts where industry leaders have a discussion centered around a popular topic of interest to influencers. Sydney Fazende has worked at Laforce for 5 years, and is now a Digital Director in charge of ther Veuve Cliquot account (among others). The insight that she can give from the brand side is invaluable information for influencers of all sizes. James has spent the last 5 years in marketing and advertising, in various leading roles at Product of the Year, Image Source, Flight 001 and LifeStage Media. After picking up a camera and creating a Tumblr, James has also gone on to work as a photographer for Oscar de la Renta, Thom Browne, Stella Artois, Puma and Rag & Bone.